Only a small number of items produced at the glassworks at Shinagawa have been identified. 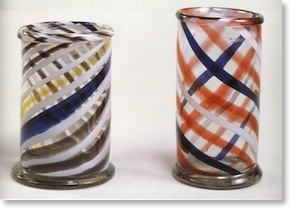 These two items were made under the instruction of James Speed, British glass craftsman at the Shinagawa Glass Works. They were displayed at Japan’s Second Industrial Exposition in 1881 in a group of 268 items made by the factory. These included domestic tableware, vases, stationaries, chimneys for lamps, bottles, glass for pharmaceutical or chemical use and red glass for ships’ navigation lights. 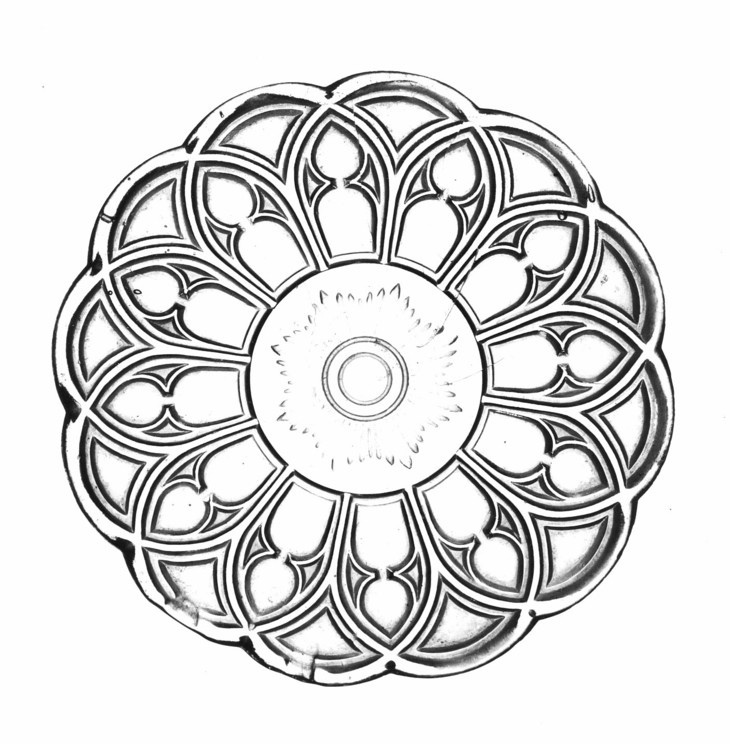 Pressed glass plate. 14.6cm. Photograph courtesy Kobe City Museum. 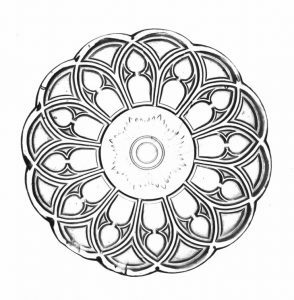 This pressed glass plate is very similar to a fragment of glass found at the site of the Shinagawa Glass Works and believed to have been made there.